Combine the vinegar, water, oil, onion, parsley, basil, garlic, salt, and pepper; bring to a boil. 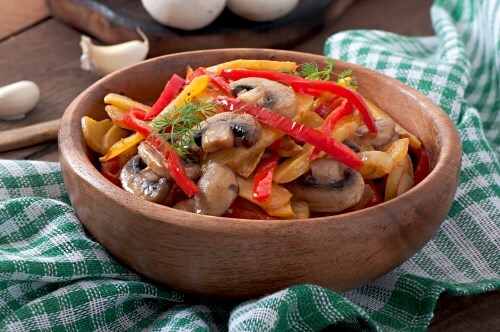 Stir in the mushrooms and red bell pepper; return mixture to a boil; reduce heat and simmer until the mushrooms are tender, 5 to 10 minutes. Remove from heat and allow to cool to room temperature. Transfer to a covered container and store in refrigerator at least 4 hours before serving.